Good to hear that you have made progress. I have an iPhone 5 which refuses to roam with Ubiquiti APs. However, an iPhone 6S plus will roam. Very odd. Glad you have concluded it is probably not a Ubiquiti problem as we have quite a lot of Ubiquiti APs deployed on client sites. Now you've narrowed the problem down to 802.11r, perhaps Ubiquiti would be able to add an option to disable this. It's a shame Apple are apparently so big that they don't have to bother fixing or supporting their products, and instead can just expect others to work around. Sadly I have found that to be the case for years. Apple have always been a bit of an oddball on the technical front. Give me Windows and Microsoft any day. There's nothing to disable with Unifi as 802.11r/k/v is still in beta (its on the testing code branch). 802.11r without k/v doesn't play well with iOS but "works" with OSX (it doesn't but OSX is hard-coded to roam at RSSI below -75dBm, so it looks like it works). Can we get a bit of a review on the Aruba kit please Adrian? 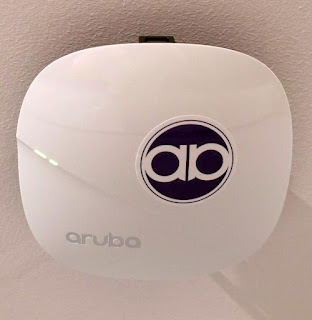 For those of you wondering - if Adrian considers Xclaim @ £186 per AP cheap I really would love to see the Aruba stuff in a review. I'll have to see what I can do - the issue really is that it has a lot of bells as whistles which I am unlikely to user here or in the office, so the review will mostly cover a few APs in office and home "just working". May be interesting if we do Reading Beer Festival or something again, as that would test the load a lot better. Oh, and yeh, the top xClaim are not that cheap are they, sorry. The Aruba do seem to have far too many variants and really do not make it clear which does what in a way I can understand. Well £186 per AP is certainly expensive compared to the consumer crap from the likes of LinkSys, Zyxel, D-Link and Draytek (yes, Draytek APs are consumer crap. We have had to rip them out of client sites at our own cost). But the normal top-of-the range Unifi is currently £120 each. 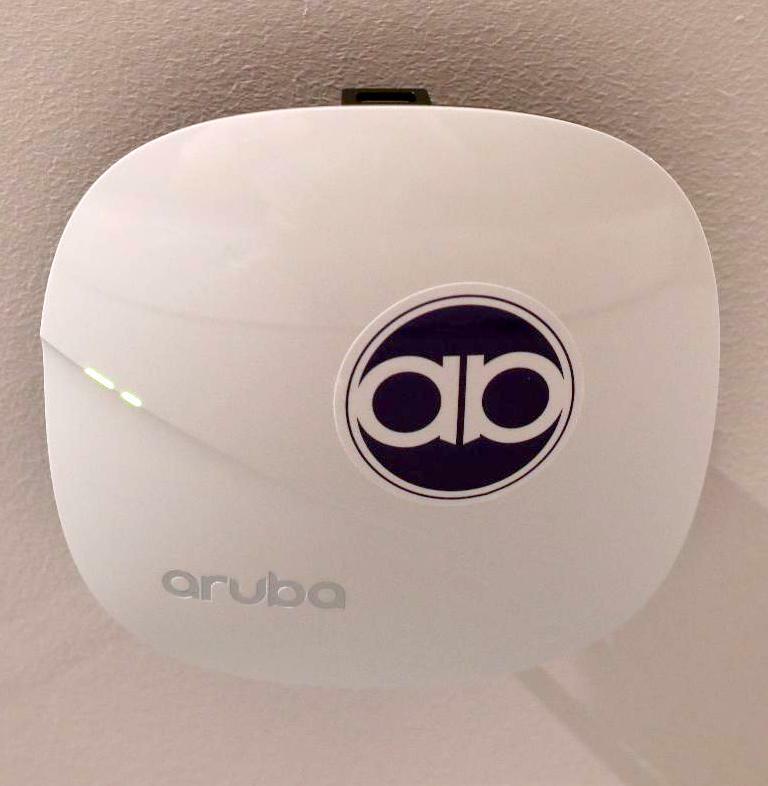 That's the UAP-AC-Pro. And Unifi now have an "ultimate" product: their HD model. Which is over £300 each. I have one, but only for testing in my own house and do not, yet, recomend any clients buy them. 1.3 Gbps just isn't needed - yet - for most wireless devices given the lines into the premises are normally 80 Mbps to 300 Mbps at best. Checked accounts. We paid £280 for the HD, plus VAT. The £280 included delivery. Purchase was 3 March when they were first available and we did get it from LinITX as they seemed to be the first people to reliably get hold of one. Will look at the SHD model although hard to believe more than a few percent of SHD users will ever utilise its full potential. linitx have been trying (hard) to reduce their unifi stock levels - they have all sorts of obsolete/ancient kit still there so I'm not using them again until I know they have new stock. Last UAP I got from them had a datecode of 2015 (bought in July 2017) so its best to avoid them for a while. They're still trying to get rid of the 24V passive-only UAPs which haven't been made in over a year and I see the (completely illegal to use outside in the UK/ETSI area as it only works on C36-48) UAP-AC-Outdoor is still on sale - for the totally ludicrous price of £348 & that's with a 20% "discount". That one hasn't been manufactured in over two years. LinITX have lost the plot IMHO. So who's a good alternative? I have bought quite a few from BroadbandBuyer and don't recall any problems. But I do remember problems with WiFi Stock (UK) ltd who are an official Unifi dealer. I was most dissatisfied with them. Re: the old UAP-AC-Outdoor that only does 36-48, newer APs aren't much better until the software is fixed, they'll allow switching to an indoor-only channel if radar detect is tripped. (5.6 adds a setting to disable indoor channels per-AP, but it doesn't work properly yet). UAP-AC-M wireless uplink comment retracted, as pointed out by a forum poster the release notes now have "DFS channels can not be used for wireless uplink in the US." Interesting views on LinITX - thanks. Personally I have not had a problem with their firm, but I will bear all that in mind. LinITX are fine. Prices are fair, they're *fast* (dispatching and replying to mail), don't lie about stock levels, and they include UK mains leads. FWIW another UK distributor currently lists the old Broadcom-based UAP-AC-Outdoor at 384 *plus* vat. (Not that anyone should buy it). That's true - they do include a UK power cable. But wouldn't it be illegal not to when selling in the UK to a UK customer and delivering to a UK address and accepting payment from a UK source to a UK destination in GBP ? Not that this stops some firms from failing to do so. I'd just like to clear up the misinformation that has been posted on this thread. We are not trying to reduce our stock levels, we just had a new delivery on the 12th September. Our deliveries are getting larger, not smaller. Stock levels are clearly shown on our website. I'm also not sure why 'anonymous' got one with such an old datecode, please get in touch with the details and we will replace it. The passive 24v UAP-300 are new stock and we still see new demand for them from some customers who only want a single band model. We have just 11 left of the UAP-AC-Outdoor model, and they were supplied to us direct from Ubiqiuiti in late 2016. The price is based on what we paid for them. The comment related to DFS relates to FCC regulation in the US, the DFS channels are usable in the UK, for both AP and wireless uplink. A supplier worth looking at for WiFi gear is msdist. Lovely guys to chat with on the phone and do training with.